The IP Camera BSTI PT100V2W appears to be a clone of the Foscam FI8901W which, in turn, is the older brother of the FI8908W. Therefore the IP Camera Super-Client found on BSTI web site does work with Foscam cameras. The interface is not the clearest and I had a few crashes with it, but it appears to be free (even if a registration is required after some time), so it's still good to take. More decent is H264WebCam also works with the Foscam FI8908W (selecting BSTI PT100V2W), excepted for the Pan & Tilt function. It exists in free, standard or pro version. It offers motion detection of pre-selected zones, FTP/email alert, recording, and some access control. WebcamXP gives good results. For the Pan & Tilt to work, the Camera brand selected shouldn't be BSTI, but either Shenzen, or Netwave. This software seems the most capable to me, although it can be slow at times. It's quite complete (webcast, access control, motion and audio detection, email and SMS alert, ... ). They also provide DirectShow Filters that makes it possible to use the ip camera with Skype for instance. The 60 days trial version is limited to 1 channel. 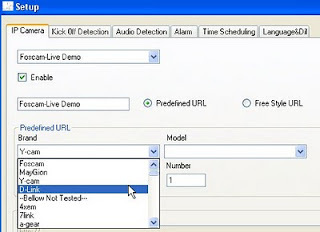 Blue Iris also works and includes a lot of features (PTZ, recording, alert to cell phone, IM or email, motion sensor, webcast supporting Windows media codec, ...). There is a 15 days limited demo mode. vitamin d is a really cool monitoring software featuring people and action rules. Foscam is not listed but can be used as "other" model by specifying http://ipcam_url:port/videostream.cgi as the camera url. 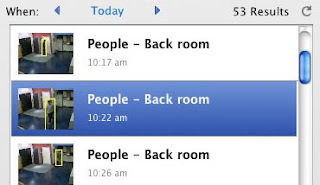 The software does video recording on motion detection and distinguishes people from object and can obey to pre-defined rules, like "if object moves through the exit door, send an email alert and play a sound". 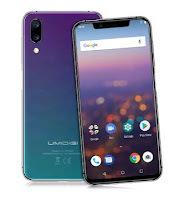 The name Netwave appears in the camera data stream and the Chinese part of their website contains a nice utility: A j2me Camera viewer for mobile phone. It works fine on my SE G705. Keys 2,4,6,8 can be used to Pan & Tilt, 1,3,7,9 for vertical and horizontal "patrols". It now comes on a CD with most recent ip cameras from Foscam. According to the accompanying note, it is possible to make it run on Windows Mobile through the Esmertec Jbed utility (also here). 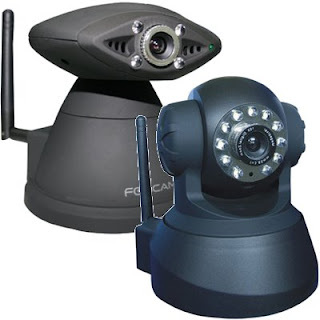 "IP Cam Viewer" has support for Foscam FI8908W (with PTZ) and FI8904W. The lite version is already very complete. The pro version allows more cameras and is ads-free. For iPhone: IPVision Pro. Pan & Tilt is made possible by adding this custom plist. The model to select is Foscam/Generic PTZ and the option "continuous" under settings must be enabled (thanks to kevc for his contribution). Touch Cams from Perreora . Dedicated to Foscam's and compatible clones. - Memory for user selection on camera and full screen. For more detail, see this review. Turn your IP Camera into a Baby Monitor ! With most camera clients, it is possible to enter a generic cgi command line. (see the Foscam CGI Guide for detail). I created a plist config for the IPvision pro for the iphone. The new software update allows you to write your own and upload it via a built in software server function. If anyone wants it let me know. you can use your pan and tilt options. If you want I can host your file here. As I don't have the software nor iPhone myself, could you join some instructions, like which camera model to select in this application? 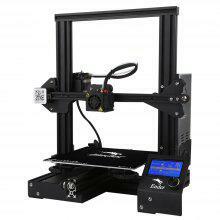 I've updated the post with your information and plist file. Is this true only cgi? 2. If the answer to the above is .cgi only then is there an iphone app that allows me to show two cameras simultaneously? 3. More importantly, does the camera have streaming audio or is it only when recording? 4. Cannot get firefox to work with activex to show full functionality visitor etc even with IE Tab installed. 4. maybe this page will help ? Okay after a little demo I can conirm the IRA Pro works with the camera....Great !!! I have no Audio at all during streaming only when I record. In which section in the activex do I go to enable audio? Last question is it possible to ahve two webcams in the same html page side by side? thought I'd share this, as the developer has been most helpful. I gave them access to my Foscam clone and they incorporated it into their software. They are still tweaking the movement. It's very reasonably priced though. Hey everyone, the PList that I submitted is written with the intent that the camera is sitting on it's base. If you decide to mount your camera from the ceiling and you flip the picture and mirror it, your left will be right and right will be left and so on. You can change this in the plist by opening it and just change numbers. Example 4 is for left and 6 is for right. Just swap numbers and the orientation for the control pad will be accurate. Please can you tell me exactly how to apply the Plist I have copied to the iphone to application root directory and sub-directories without success. download and open file (http://www.drivehq.com/file/df.aspx/publish/bubbah/PublicFolder/cgiDataUser.plist) with notepad, copy all text. Open /var/mobile/Applications/xxxx-xxxx-xxxx-xxxx (aleatory letters)/IPVisionPro.app/cgiData.plist with notepad and paste text and save it. I hope that users enjoy it. Somebody can develop plist file to work PTZ using IRA PRO ? Thanks for all. 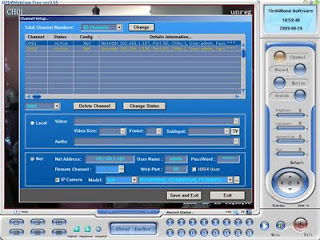 IP Vision Pro has a built in server function in the settings screen. If you are on the same wireless network (wifi) with your phone and home computer, you can connect to the software through your home computer browser and then just upload the file. Your phone does not need to be jail broken to do this. After an upgrade my ip cam don't work ! The green LED don't flashes. LAN port is on, but does not connect. Help !!!! I confirm that the .plist works with IP Vision Pro version 1.1.1. I cant get this to work @ all i have IPVision Pro V1.1.1 i have uploaded the custom plist to the iPhone and have restarted the app i even restarted the iPhone just to be sure and when i load the app i "click" on the cam logo goto model but i cant find Foscam/Generic PTZ. Any help would be nice i am a "noob" @ this sort of thing. Great read for this cam. I'm running " I-catcher' Great program. I got the video working with this program, but the PTZ drivers are not working? Tried all of the PTZ drivers that are listed with this program. 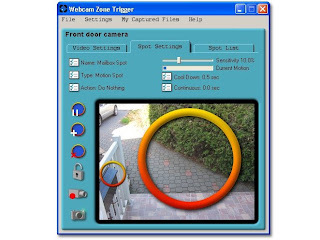 Did you ever used a third-party software for Foscam IP Cameras (FI8908W) that does digital zoom ? Although WebcamXP is my preferred application, it seems to only rely on the camera zooming capacity so it's not good for the fi8908w. The Blue Iris however can do direct zoom on the camera picture (using the mouse wheel). Please could you help to take control of my Foscam with IP Vision Pro. As "felipesalomao" Says, I try to past the text find here: "http://www.drivehq.com/file/df.aspx/publish/bubbah/PublicFolder/cgiDataUser.plist" but it doesn't run... Instead of adding a "generic PTZ" model, I delete all others camera profil. Do you have an idea of my mistake ? I'm trying to use the j2me Camera viewer in my Nokia 6120 (symbian), with H3G operator. When i set all parameters, phone asks me i want to permit that the application goes on the internet. I answer yes but i got an error message: "failed to connect to camera". Ipcamera works great via browser (IE&FF). I'm using the dyndns service. In the "Camera Hostname or IP" field what have i to put? http://DYNDNSNAME.dyndns.org ? With or without /videostream.cgi or .asf, or live.htm? If the port has been set to something else than 80, it can be a problem with some ISP's. Check also if the j2me camera viewer works when your phone is connected to your local lan through wi-fi. "The camera hostname should be as you said, just the http://DYNDNSNAME.dyndns.org and nothing more." If the port has been set to something else than 80, it can be a problem with some ISP's." Yes, it works from both inside the lan (using 192.168ecc address ) and from outside (via the dyndns address). The port is over 7000. 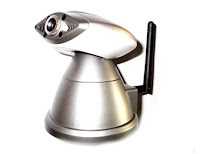 "Check also if the j2me camera viewer works when your phone is connected to your local lan through wi-fi." I don't understand. How may i do this? Unfortunately, my phone (nokia 6120) cannot connect to my wifi lan. This phone has a lot of stuff but not wifi feaure :-(. Of course i can surf the web on the phone and with the phone (using nokia sw). it just occurred to me that your are including the "http://"
This is not necessary and should be removed from the hostname. Ok, i tried both way. It didn't work anyway. For the user and pswd set in the viewer, which couple of data/profile do you use? Admin, operator or visitor? For me no one works. I'm using admin at the moment but it shouldn't matter. I think that it is a problem of my "ConnectToWeb" applications settings. In fact, i tried also IpCam Viever http://www.oneviewsystems.com/index.php?option=com_content&task=view&id=64 but i obtained a similar error: Network failure, try again. maybe you should ask someone who's on a different mobile network than yours to test it. You seem to do nothing wrong, maybe it's your operator. Other idea, if you know how to use your mobile as a modem for your PC, you could try accessing the internet (making sure your pc is only connected through your mobile) and see if you still can access the camera using FF or IE. If this fails too with your PC, then you'd know it's your mobile network. I may surf the web with the phone (using the simply but very useful nokia browser installed in the phone. No problems with any kind of website) and via the phone (using nokia pc suite, connected via Bluetooth to my notebook and browsing on the notebook with FF). The very strange thing is that the phone ask me: "do you want to permit the application to connect to the Internet?" I answer yes, but non connection is possible. check if you can pre-set the permission before launching the application. On my SE, there's a permissions setting for each application and game where I can set it as "default, trusted, or custom". There should be something like this on the Nokia. Ok, it works :-) The problem was that the point of access that was not set. But: how can i see the camera list on the cell screen, like the picture above? With the ipcam image, i mean. And: how may i add a camera in the camera list? To skip from different camera without changing every time the parameters, i mean. the example above shows actually 2 different screenshots side by side. The camera list can only be retrieved when the phone is connected inside you lan and on the same subnet. From outside, you need to enter the settings manually. Please, may you consider/show in the list of the mobile sw also http://www.oneviewsystems.com/index.php?option=com_content&view=article&id=64:ipcam-viewer&catid=42:software-products&Itemid=65 ? it seems to be for Symbian phones only so I can't test it myself. Let me know how it goes and I'll include it in this post if it works. anyone has tried webcam zone trigger at http://zonetrigger.com/ with this camera ??? I've added a Filefactory mirror link to this file. I'd say that's a question for the tech. support @ ttrix.com. The plist file was provided by a reader of this blog and I don't have an iPhone myself to test. Here we go. I added the custom plist file into the "original" one. Thanks!! I'll add your url to the post. You need first to ensure that you entered a valid access point to your router in the wireless lan settings as explained here. It is a common mistake to enter an arbitrary name thinking it will identify the camera on the lan. This is instead the router information that must be filled in. Next, when you see that the camera is about to reboot after validating the settings, remove the Ethernet cable. During the boot sequence, the green led blinking rate will let you know if it found the network (this point is also explained here). On your router, make sure that you disable the MAC filtering if any, and check for any new DHCP request. Check if the camera works better when sitting just beside the router. If it's the case, the wire to the antenna inside might be disconnected, which has been already seen with the fake Foscam from DealExtreme. * It supports different types of WEB-cameras, IP cameras. * Records as many cameras as you want. * Records with motion detector or not. * You can control many cameras simultaneously. yes, this is the right post for advertising your app. But please, now, stop posting this on every single page of this blog, thanks! So, any help is would be great. As soon I got my cam up in the addic, I will bublish the url to test the cam :-) Also, I ordered yesterday some new lenses wit 80° and 92° viewangel from ebay (selle from Germany). I don't get pop ups anymore. Of course, that screws up the refresh routine. You'r the BEST !! That solved my problem :-)) I'm so happy!! Hi Bubbah, I'm responding here to your comment on the 'Yet another firmware for Foscam fi8908w' thread. For some reason I'm not able to post there. Not sure...has it been locked? In any case, my question was regarding both video and audio streaming (2 way) using an iPhone. You have suggested IP Vision and Live Cams. I did in fact look at these prior to posting, however could not find any info with respect to audio streaming. Just to clarify, does it indeed work? In addition to that has anyone tried the new FI8906W? I tried to find some more info about it such as pricing but came up with nothing much apart from a few sites in Chinese and Russian. Is this camera so new it's not actually being sold yet? I don't have an iPhone myself, but these apps were reported by readers of this blog to work with theirs. I'm quite sure that, if there is sound support, it will be one-way. You should directly contact the developpers via their web site to know more. I asked Foscam about that FI8906W, they couldn't tell the price (I expect much higher than for FI8908W) but they said it would be sold around April 2010. 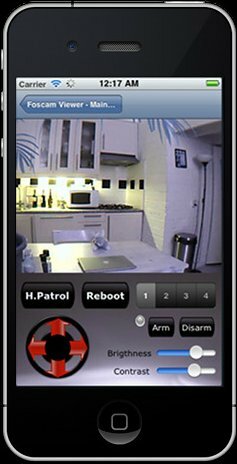 Live Cams have just released v.3.1 (for iPhone) with native PTZ support for Foscam without having to rely on WebcamXP to host the streams. I have setup mine to connect directly to the camera and it does indeed work! What are your settings for Live Cams?? I try to use my DynDns name, but i'm not abel to use "http : // ...."
Are you using your IP address ??? Yes, I just typed in my IP addrss. I have a static IP so I don't need to use any DDNS services. I do however experience an issue with Live Cams where I may need to launch it a couple of times until it connects to the cam. This same issue existed in the previous version as well, regardless whether I connect using WebcamXP or directly. I actually thought the issue was resolved when I stopped using WebcamXP as a host but unfortunately it wasn't. It seems to happen randomly both from within my LAN and from the outside (over WiFi). I've contacted support about this matter...hopefully something can be done. All you need to do is leave out the http://.......I use a domain name and it works. I have the exact same issue. I'm not sure of ur setup, but when it does that to me using the camera's interface, I can see it's not getting forwarded to the camera's IP and it's prompting me for the routers password. So now when I use an app, naturally I don't see the router password prompt, I just get nothing but after numerous attempts it connects. Now I have port 80 setup to forward, so it's almost like some requests are coming in other than port 80.....hence the no port forwarding. Did you try using some other port? To me it sounds like instead of logging on to your cam you're being prompted for credentials to access your router's configuration interface which listens on port 80 by default.. I've set my cam up on a different port the first day I got it. Can you describe how to get IP Camera Super-Client running with Foscam ? I have tried every possibility but could not get it to connect. all I do is enter the camera ddns url or local ip address, the port 80 (unless changed) and a valid account defined on the camera users list. The connection, then right click on the camera newly defined and select "start". The image should appear. Ip camera super client from other manufacturer than BSTI may not be compatible with CGI commands from Foscam. And reversely, I thing that a clone from Maygion for instance would not work with the BSTI client. My new Foscam is up and running. Works fine wired and wireless. However, that was from my home pc on my home network. Now that I am at work and cannot view. Help! The only way I have managed to view my cams remotely is to change the IP address to DHCP, and let my router issue IP addresses and ensure I have port fowarded the cams in the router settings. Anybody tried this software yet with their Foscam? I found out about it on lifehacker. It looks pretty sweet. The free starter edition allow 1 camera only. Their pricing options are quite limited: Basic edition supporting 2 cameras for 49$, and pro edition with unlimited cameras for...199$! I have 3 cameras! I'll update this post with this application though, it's indeed quite cool! Bubbah, what version of vitamin d did you test? @bubbah version 1.0 build 5646? I'll have to check back home, I downloaded it 6 days ago. I just checked the version and it's well build 5646. It have a simple and wonderful interface. Simple configuration as: insert url, username and password (in diferent boxes). I miss the horizontal interface with fullscreen. But hope it gets better. Also the great software for mac Evocam supports the foscam, you just have to select network camera, then input the url, select "Generic Network Camera" and the path: /videostream.cgi and the username and password. Thanks for the page with all the info! Have you tried it with SecuritySpy software for Macs? when using web Ui and can turn on mic and will record video and audio on motion detect.Is this possiable with third part software?? videostream.cgi does not transport audio, but if you manage to use videostream.asf, then you get sound. I'm just not sure it work with WebcamXP or any other one. I've only used it with VLC so far. do you knowing a software to view my foscam on a samsung SGH-F480??? assuming that the F480 can run java programs, the J2ME camera viewer presented above should work. tx for fast answering! You are right - my cell phone is able to enter the foscam-demonstration-page and works fine - but it is not able to enter my own foscam. My ddns-settings are ok - can see my cam on the internetbrowser but not on the cell-phone. have you any idee whats wrong there?? it seems you've setup your access properly and if it works from the browser it should work with any other software. Maybe you have to set some permissions to use internet for that camera viewer on your phone? Normally the phone should prompt you for such permission when needed but I can't say for your model. Another thing could be a restriction from the mobile operator (sometimes only port 80 is accepted for HTML). Are you able to access your camera using an url finishing by http://camrul:port/snapshot.cgi on your phone's browser ? tx bubbah - some minutes ago i got a 'brain-flash' - i changed the APN of the provider from 'internet.t-mobile.de' to 'internet.t-d1.de' - .............and it works! Maybe the second one has less restrictions ore the public ip plays any rule.... however - thank you very much for your support! Thanks for advertising to this iPhone application.... maybe your own application. I looked and it's a shame it can control and monitor only one camera. How can I set up video to record to online storage site? 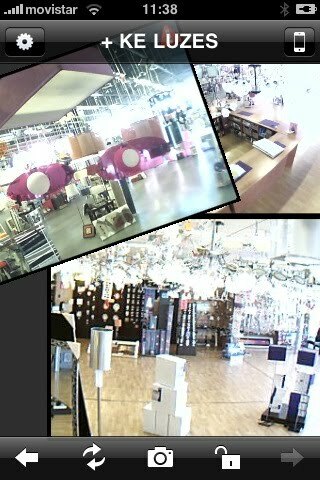 I am using Ip Vision Pro on Iphone. Looking for command to password the user name & password in command line for VLC...anyone? Once you can pass this, you should be able to stream & record the stream. Suggestions? just figured it out...i created a BATch file. Good luck! I almost forgot...if you add the command "vlc://quit" at the end, it closes VLC at the end of the recording session. just got myself a FI8908W foscam, problem is after around 2-3 hours is disconnects from my SKY netgear DG** series router and I have to unplug the foscam and turn it back on to get it to connect, anyone else experienced this? that problem has apparently just been solved with the latest firmware. check the firmware history page. i must be doing something wrong....ive tried every program listed here and only gotten a few to actually install correctly (tried on both windows xp and windows 7) and of the few that ive gotten to install, ive only been able to get live video successfully on the first one listed (ip supercam) and after an hour it says i need to register. where? there is no indication whatsoever as to who manufactures this program so theres no place to go to TO register!! I am certain i have my ports forwarded correctly on my router. please someone help, i spent $100+ on a foscam (fi8908w) that i cant even use because no known programs work with it. I recently bought the "Foscam Viewer" by Neebii for iPhone 4. It works very nice and it allows also to manage the alerts. Thanks for the heads up about "Foscam Viewer" by Neebii for iPhone 4. I don't know what happened to your comment on this page I got it through the automatic email notification. i have this issue with my foscam. I press to turn my camera right. I regret and i want to turn it left. Nothing. I press "left" and the camera turns right. Only when the camera reaches at the end of right position the button for left starts to turn the camera left. Of course, the opposite happens. I press left and only when the camera reaches at the end of left position can turn right. either you've got one of those old firmwares that had a bug with PTZ, but i think it was only with up and down function, or, you've got the latest where the PT and patrol speed are by default set to the maximum. In this case, you just need to go to the camera settings and change the values under "PTZ Settings", you could use 4 as a medium speed. I have the latest firmware. I 'll try your suggestion. Thanks in advance. i tried setting value to 4 and with several values. The turning speed for right and left changes, but the problem is still there. I have to go all the way to the right or left in order to change direction. I don't know if this is relative but in device status i have this:"UPnP Failed: Errors in Chat with UPnP Device"
UPnP never worked for me and always showed that error. Make sure you have the System Firmware 11.14.2.17 + Web UI Version 2.4.8.14. You may need to contact Foscam for further advice, mentioning you Devide ID. I will contact with Foscam, thanks. I have another one problem. With windowsXP i connect with my camera with every software. From windows7 i cant. I turn off firewall and antivirus but still connection refused. Any ideas? to be more specific... with webcam7 i get:"Socket Error # 10061Connection refused". The "connection refused error" is not likely to come from the ip camera, I would rather suspect a conflict with another element (device or service) of your LAN responding to your connection attempt to the ip camera. Make sure the IP address of your ip camera is not in use by something else and check also the port used ('netstat -b' for instance). From the laptop i boot with windowsXP. Everything works well (Norton internet security 2010 is on). From the same laptop i boot with windows 7. I can't ping my camera (Norton internet security 2010 on/off gives no different result). I am ok. It was a problem with my local network. is there a website or service that hosts video-streaming? I dont want to let my PC running all the time. You could buy a Synology NAS. Once of the included applications, "Surveillance Station" can do all that. About the problem i had rotating my camera i got an answer from tech-foscam. They asked me to add camera's ip in Internet explorer trusted sites and if the problem persists to turn off my firewall. After adding the camera to trusted sites everything worked well. Also i have to say that tech-foscam reply was very quick. I already have a working Foscam clone in my lounge. Is there an app that would alert me when there is audio detected rather than just video movement. I have a physically disabled child - and want him to be able to alert me in the middle of the night via audio if he can't easily move in bed. Was planning to place another foscam in his bedroom for this purpose, then set either an iphone or Android smartphone next to my bed, to pick up any alerts. Would then be able to check him via the phone. I'm not sure there is a reliable software solution for achieving this with the ip cam. It would far more convenient for you to have one of those cordless phones that can be put in monitor mode and even call (another set, or an external nr) from a certain noise level. I'm thinking of the Siemens Gigaset S795 for instance. @author, I will like to mention that I could make use of gmotionlive on Linux Desktop and also on Linux based N900 phone to access my fosscam device. Negatives are that pan/tilt/rotating is not possible using gmotionlive. I've tried to download the BSTI IP Camera Super-Client but Kaspersky keeps refusing to, saying that it has malware VirTool.Win32.Crypt.cx regarding a nasty URL or something. Any chance it's overreacting to a false positive? Tiny Cam Monitor Free/Pro are also nice applications for Android. 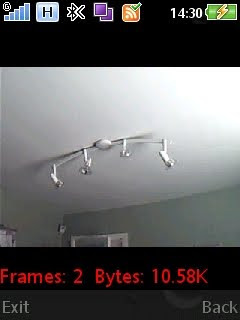 Better than IP Cam Viewer (Lite) IMHO. The Pro version is cheaper than IP Cam Viewer. After doing some studying I think I could live without 3rd part SW and that Foscam features & WebUI could do for me. I'd like to record video stream with motion detection. It seems that WebUI must be running on an computer to do so (FTP snapshots work fine without open WebUI on any PC). The point is that I want the alarm go on after power shortages etc. and I don't know a way to autologon Foscam WebUi at system startup. You got my point? Have I missed something? Anyone found a workaround for that? A short script etc? For third party SW WebcamXP and Blue Iris seemes most interesting (and have a reasonable price). Any good or bad experiences of those? I'm not sure it's possible to log on automatically into the ActiveX interface, where the video recording function resides. Still, I think you're better off having one of those 3rd party software to do the job for you. 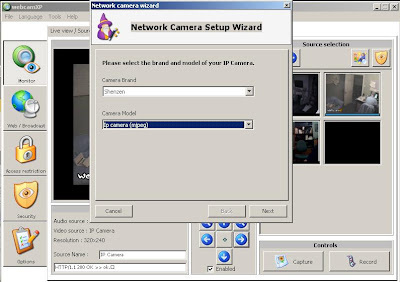 Both programs are good indeed but WebcamXP has an impressive DirectShow filter which means you could use your ip camera as a webcam on Windows. Thanks, that's how I thought it is but got confirmed now. I've been testing Vitamin D with my two Foscams. I am very impressed with their motion detection. It catches my cat walking around and car headlights driving by in the window. It's way better than the web control motion detect. Has anybody compared Vitamin D's motion detection with these others? I like it a lot but it seems a little pricey. One thing, I was using their current eval (1.41 6064) for a month and it was working great, but then all of the sudden couldn't connect. Reinstalled, re-set up but same problem. So I tried the version from Cnet- 1.0 5646 and blocked Vit d from internet with my firewall and it started working again. Many thanks Bubbah for this helpful blog, i'm new to the ip camera gadgets, and i'm looking for an iphone app that can stream audio (preferably 2 ways) with foscam, as the apps listed here seems not to support this. I have tried firmware recovery for my IPcam FS-613A-M136 using DKU-5 USB cable .I was able to see the boot proces and the camera just continue rebooting every 8-10 seconds and does not stop at debug mode while pressing ESC.Any help how to go to debug mode to continue the recover procedure. note that you don't need to use the 3.3v cable if the camera is powered. Appart from the terminal settings, I don't know what can prevent the terminal from receiving the ESC keystroke. I have followed the procedure on the link you mentioned except I used DKU-5 USB Cable and use 3 wires only rx,tx ,gnd. 3.3v not connected and used normal supply for the camera .I am reading your blog for several days now and searching on the net but still no success to fix my IPcamera. Question: Is it ok to use DKU-5 USB cable to download the firmware/webui Or do I need to buy the USB/serial TTL 3.3v . I cannot update the firmware using IPCam tool since it is rebootingbefore completing the update. below is the text I got from Hyperterminal. Copyright (c) Winbond Limited 2001 - 2006. All rights reserved. followed by approximately 150 lines of text and the last 5 lines of txt below,then it repeats the reboot process. I wonder if the recovery tool here could help you. I don't think the Nokia cable is the problem, it seems to take you far enough in the process. It is free and available on Android Market. Search with remote4cam or foscam or heden keywords. I know this is rather an old article, but I'm the author of the Foscam Surveillance Pro iPhone app. It also supports motion detection. Do not buy from e-foscam.com -- These guys took my money and provided no tech support at all. You never hear from them after they have your money. Typical fly-by-night operation. STAY AWAY FROM E-FOSCAM.COM! For Nokia users only. I have tested a new application "Foscam Control Pro" available in Ovi Store for Foscam camera management. It's a useful application ! Hi, can someone tell me how to get my foscam working with I-catcher v4 please? Hello everyone I use H264WEBCAM DELUXE ver 3.7 works fine, but does not record the audio and not funiona PAN & Tilt. 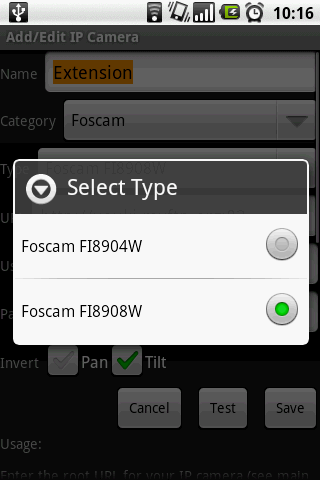 When I configure my Foscam FI8908W, use as a brand Bsti "PD100", but the audio is not recorded in the file. I have been using my FOSCAM FI8918W without any issues for over a year. Yesterday, I was playing around with the port settings and I believe I set some port settings incorrectly. Since then the FOSCAM stopped responding. In order to fix this I connected it directly using the ethernet cable, but am unable to detect it (have tried it on different computers, on different routers and also tried connecting directly to the computer as per FOSCAM support page). As a last resort I tried resetting it multiple times, but still no luck. Am not sure if the camera is bricked as all the LEDs seem to be operating normally and also it does the usual rotation upon power up or reset. I just want to make sure if there is anything else I can try before trying "Bubba's Brick recovery" hack. You could try a few basic things first, like pinging the last known address of the camera. Or clear its entry from the router and let the ipcam claim for a new one that you should then find in the DHCP table. - a sniffer (wireshark.org) with the camera connected to the Ethernet port. Start with the camera powered off. FYI - tried downloading the latest BSTI IP Cam Super-Client and it triggered by virus checker. Looks like they're infected. This post is so informative! I do check photography blogs, as I love photography and learning newly. Check slim waterbestendig 4k ultra hd action camera handleiding , I bought some from here. They are offering great deals.